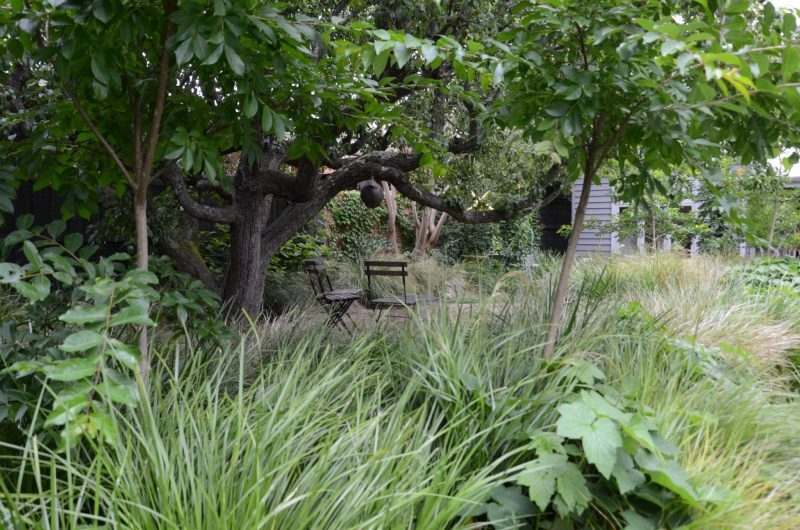 This year E-GA has two gardens open as part of the Garden DesignFest. Over twenty professionally designed will be open across Melbourne over two weekends on 10th and 11th November and on 17th and 18th November. This relaxed family garden off a bustling main road in Canterbury was completed just over two years ago in 2016. 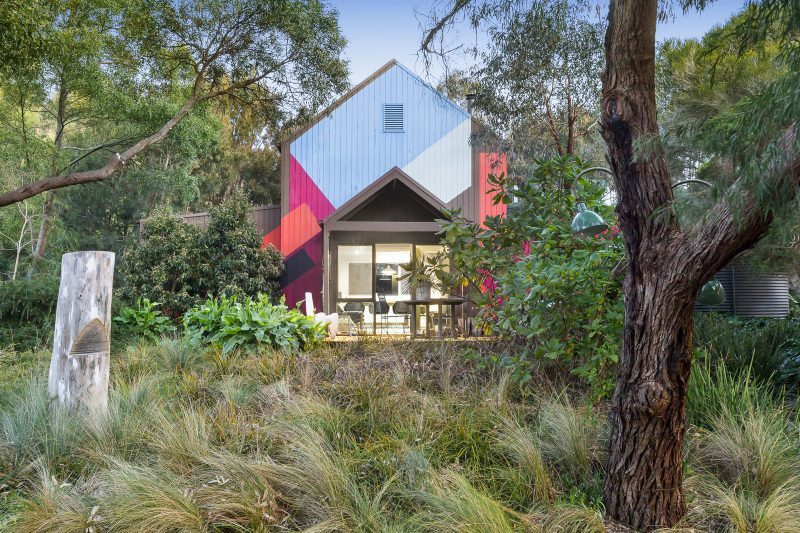 The garden had to provide respite for a busy family, a new extension including back yard studio allowed for plenty of space for entertaining friends, family and pets alike. The extension of the living area at the rear by Williams Boag Architects, with double doors and large windows, made the communal areas useable, light and airy – making the most of the green outlook. The connecting park with the majestic English Oak Tree creates the perfect backdrop to the rear garden. Natural paving surfaces throughout combined with an unpretentious patchwork of textured foliage creates a truly relaxing garden. 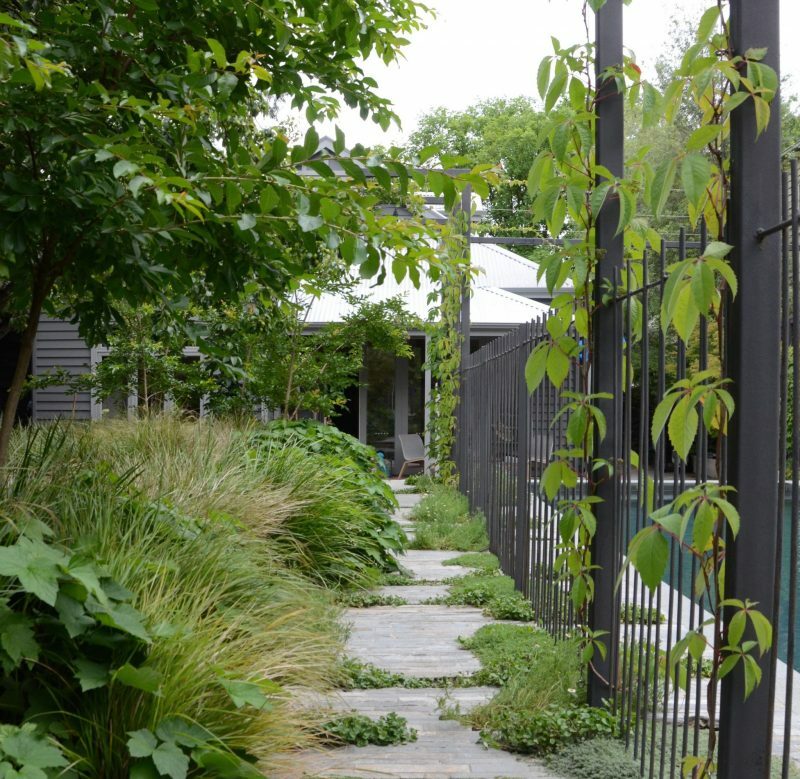 Fine black steel rods and an arbor alongside the pool provide a light framework for a mix of deciduous creepers, anchored at ground level by a smattering of textured ground covers including Kidney Weed and Corsican Mint. 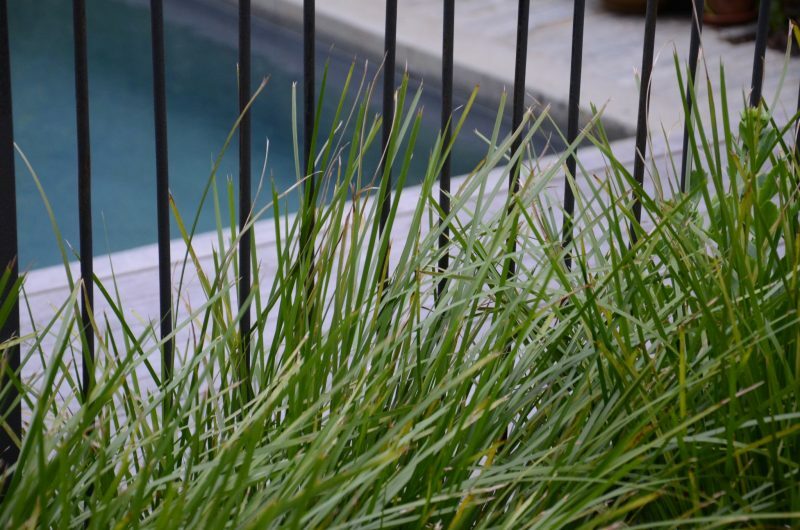 The organic grey and cool blue of the 11 x 3.5m pool allows for lots of splashing in summer and becomes a water feature in the cooler months. 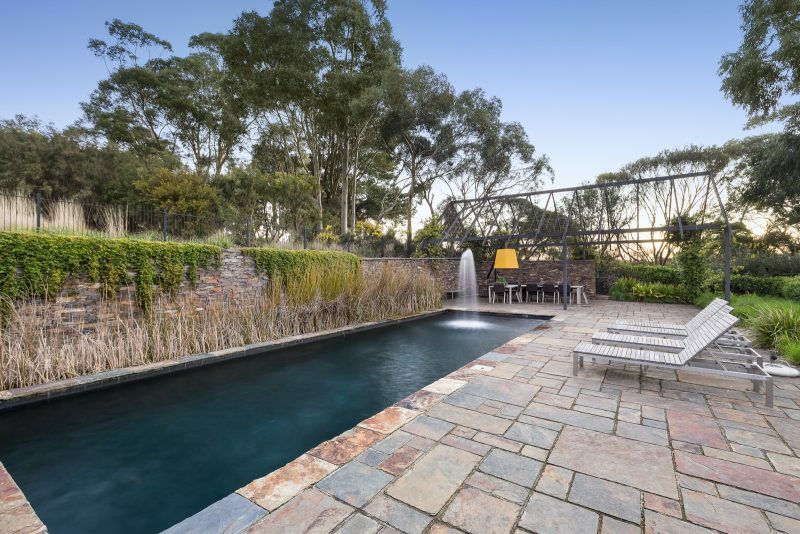 The existing Pear Tree adjacent to the pool area acts as a canopy over a quiet garden room – perfect for intimate and casual entertaining – a spot to read a book. Veggies and herbs at the rear of the garden are tucked out of site in timber crates but are still close enough to grab a few handfuls of herbs mid-cook. An amazing outcome when owners put their trust in your vision. We hope you enjoy the garden as much as the owners do. Musk Cottage has been a pet project of Rick Eckersley and the E-GA design team for the past six years. 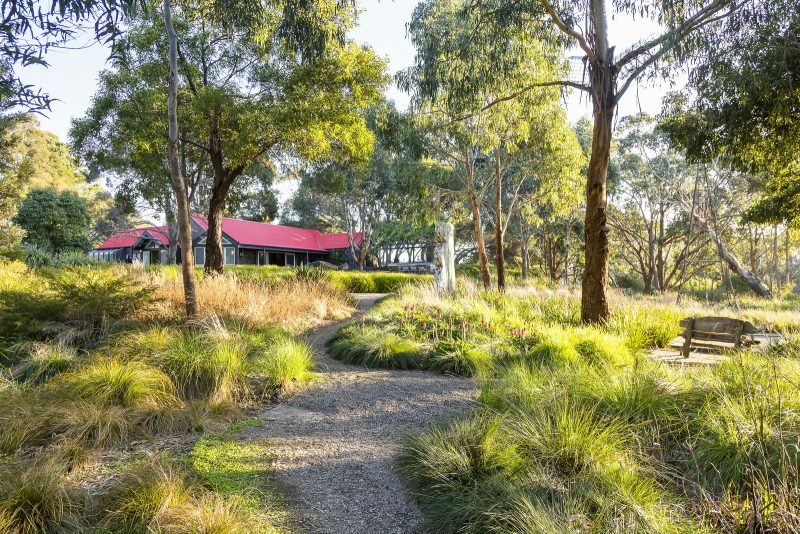 The ten-acre property was purchased in 2008 with the intent of creating a different approach to garden making in Melbourne and the Mornington Peninsula. 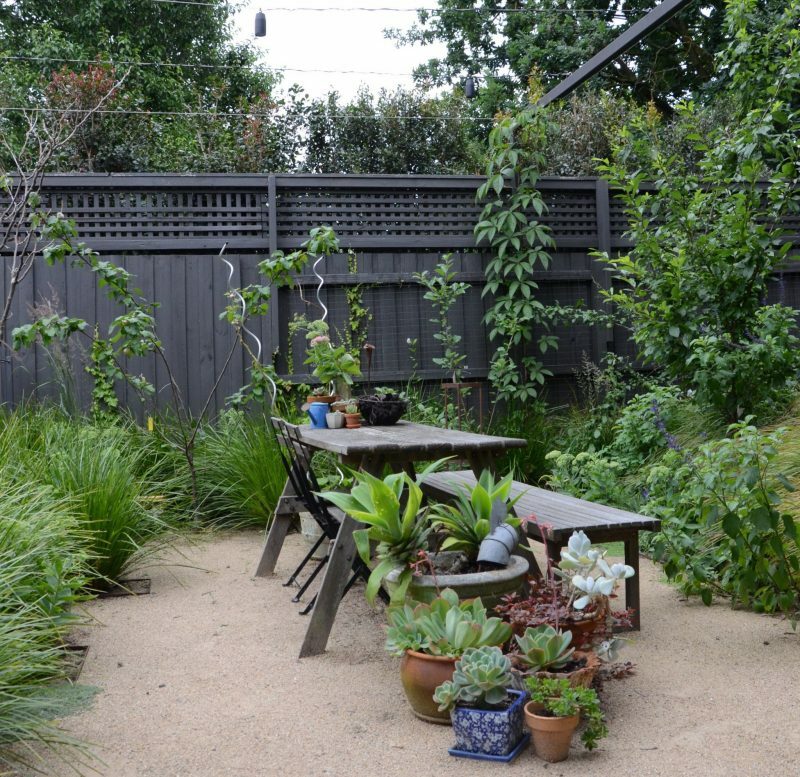 Garden DesignFest is a great opportunity to explore and enjoy a wide variety of gardens. Tickets can be purchased online here or they may be purchased on any day of the event at any of the garden gate. Children under 16, when accompanied by an adult, are admitted free of charge. The gardens are open 10:00am-5:00pm. Make sure to come along and experience the gardens for yourself!